Roosebeck 22 Inch Native American Flute 6 Hole Wood Key F. Handcrafted Sheesham. 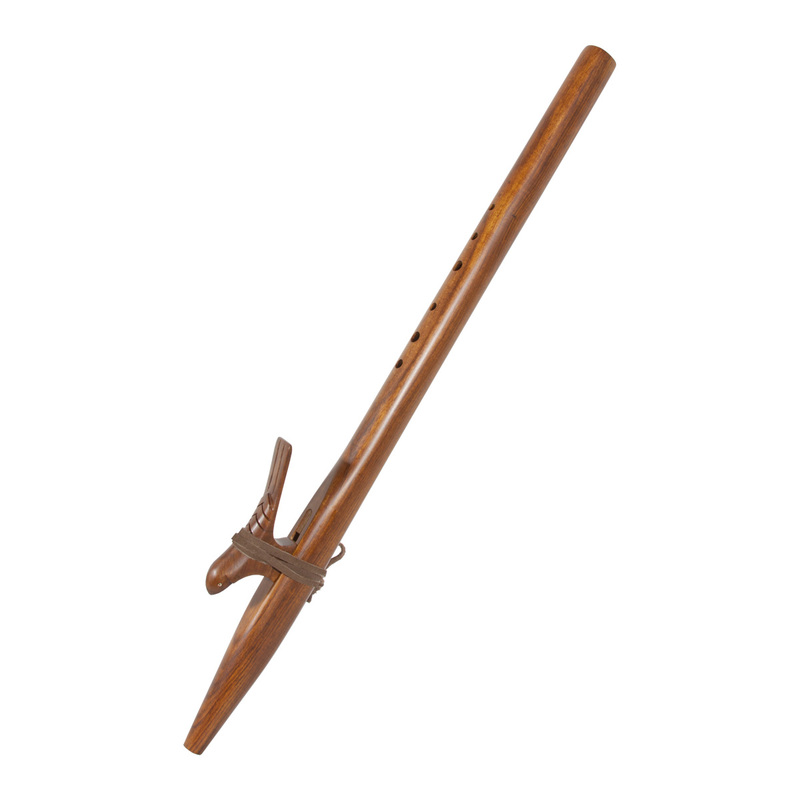 This Native American Style flute is composed of two parts; the pipe body and the bird or saddle block. Flow is controlled by sliding the bird over the top opening. You may make a minor adjacent in pitch by moving the bird forward (sharpening pitch) or backward (flattening pitch). Make sure not to close off the opening completely. The Color of the wood varies, a lovely sounding instrument. Tuned to F.
This was my first Native flute so I suppose it sounds great for its price as a beginner. The lowest note is a little difficult to project. Overall, I am enjoying the great spiritual essence that it incites. Thank you.